Police have arrested a suspect in the home invasion robbery of country singer Scotty McCreery and his friends in Raleigh, N.C.
Police say 19-year-old old Mikkail Jamal Shaw has been charged with armed robbery and conspiracy after he turned himself in Tuesday night. It wasn't clear if he has an attorney. In a statement, police spokesman Jim Sughrue says police are looking for other suspects. Officers were called to an apartment near North Carolina State University (where McCreery is a sophomore) early Monday. Police said McCreery was visiting the apartment when three armed men broke in and took wallets, cash and electronics. No one was hurt. "It was definitely a very scary night. Luckily, my friends and I are safe and the Raleigh PD is on the case," McCreery told fans on his Facebook page Monday. "I will share more when the time is right, but as of now we do not want to do or say anything that could hinder the investigation. Thanks to everyone for the prayers and support. A huge thank you to the Raleigh PD for their quick response and hard work in solving this case." 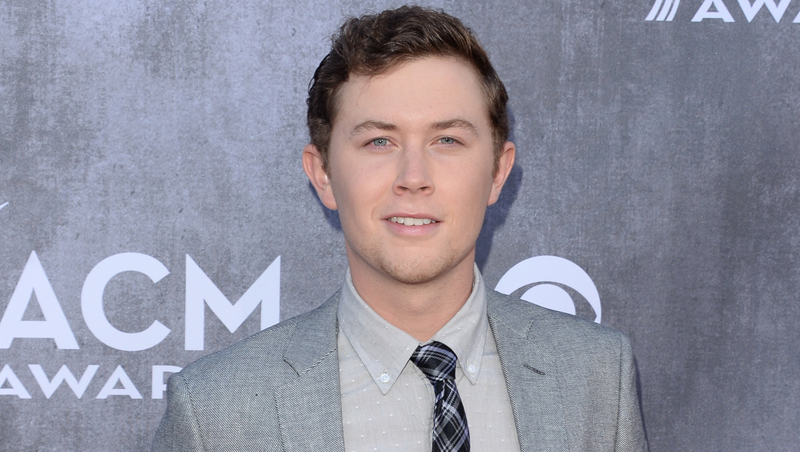 The 20-year-old McCreery won TV's "American Idol" in 2011 and was named best new artist at the Academy of Country Music Awards the next year.